4" x 6" Direct thermal paper label. Fanfolded. 2,000 labels/stack, 2 stacks/case. 4" x 2" Direct thermal paper label. 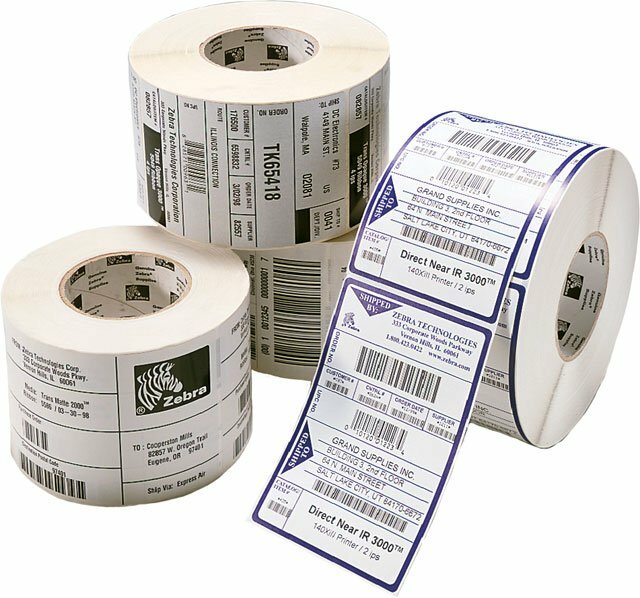 2760 labels/roll, single roll. Also available as a case (Part# 10003051). 4" x 2" Direct thermal paper label. 2760 labels/roll, 4 roll case. This paper works great on our ticket printer. Never have any problems, easy to load and you're off again. Thanks for the quick service! Great use for our lighting store & labeling all the product.